The classic British dessert of rice pudding has made a comeback over the last few years. 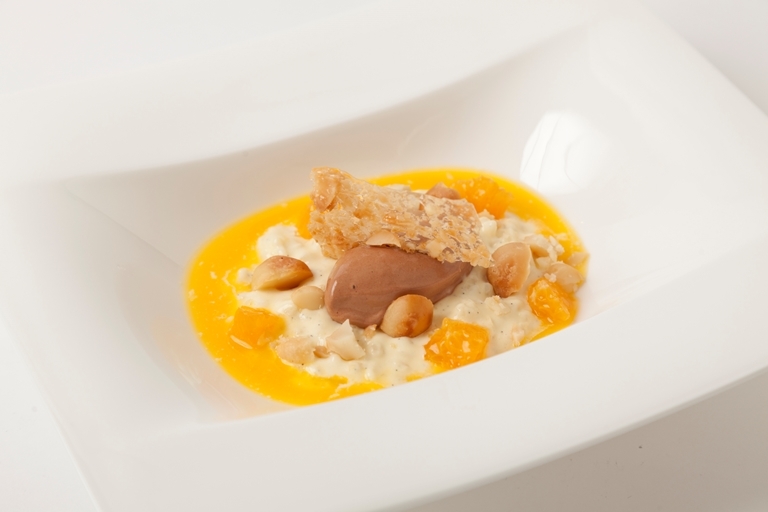 In this rice pudding recipe from Laurie Gear, the pudding is chilled and served up with a sweet mandarin soup and chocolate sorbet. The chocolate sorbet recipe included makes one litre of sorbet so there will be plenty left over to pair with other sweet treats, or for an indulgence on its own.